EYG- Embrace Your Geekness | What's Your Geek? Whether a Sports Geek, Drama Geek, Band Geek, Comic Book Geek or any other type of geek, there is something at EYG for you! The mission of EYG is to provide a safe place on the internet where people of any age can connect with other people of similar interests, no matter what they might be. This is the 10th anniversary of the EYG Hall of Fame. To celebrate 2019 in this manner, we will be inducting one Anniversary Nominee EACH MONTH for the entirety of 2019. These inductees will come from all areas of pop culture, may be individuals, TV Shows, Movies, items, characters etc. Here we go…. The first Legends Nominees to the EYG Hall of Fame for 2019 are inducted on April 1st. There will also be Legend inductees on August 1st and December 1st. 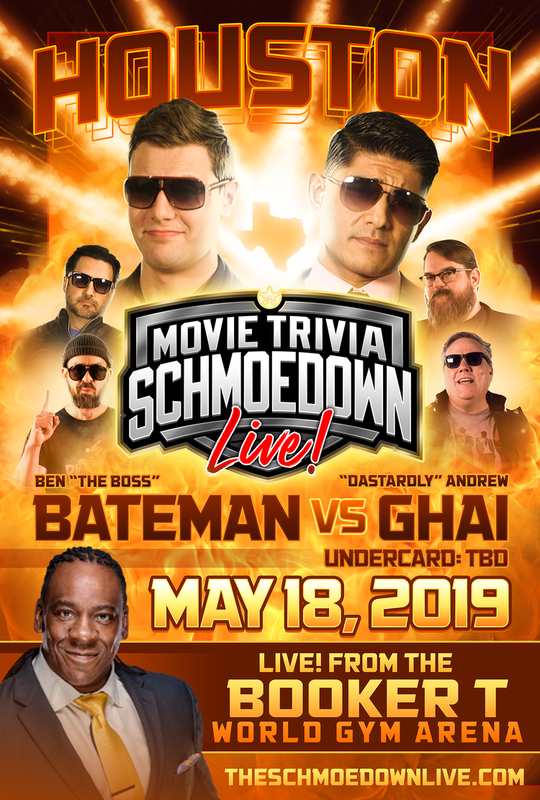 The Schmoedown appeared in Chicago for a live show and saw a number one contenders team match with The Odd Couple and Who’s the Boss, as well as the Star Wars title on the line. And that is the news news news.